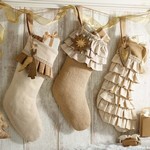 This Christmas, say something special in your home on your fireplace mantle, with the all new Monogrammed Stockings. 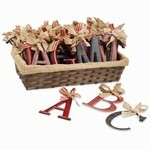 You can have these personalized or just pick Christmas Stockings with its own monogrammed initial. Christmas stockings say it's Holiday season. With monogrammed stockings, they tell the world that I belong right here, during this special Holiday time. Choose from many styles, and colors at Everything So Perfect. Monogrammed Christmas Stockings in Burlap, Red, Black and greens accented with bows, pom poms and hanging Initials are the new fashionable Christmas stockings this holiday season.